Symantec CASB is a cloud security solution. "Provides a solution regarding security of the cloud. " The data loss prevention is, for me, the best feature of the program. It ensures that the data is stored in the cloud. Not only stored, but securely stored. It has also a lot of good things, like simple and friendly interface. The price is attractive, not very cheap neither expensive. The support team is overloaded, at my point of view, because of the many acquisitions that the company acquired throughout the years. It's growing, so it needs to attend to every user need, focusing on the support. 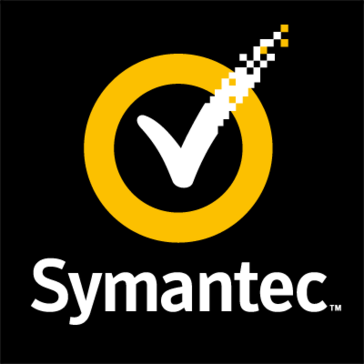 If you are looking for a good data loss prevention software focusing on improving compliance and risk management, with easy-to-use interface, and good prices, the Symantec CASB is the way to go. Specially the data loss prevention. The software does exactly what is advertised. That is surely a good thing, because you get 100% of what you paid for. The risk management and improvement of compliance is one of the reasons that we acquired the software, and it's doing well so far. User interface and the data mining tabs. What Cloud Access Security Broker (CASB) solution do you use? Trend Micro Cloud App Security delivers advanced threat and data protection for Office 365 and cloud file-sharing services. Skyhigh Cloud Security Manager enables IT to embrace and accelerate the adoption of cloud services while ensuring privacy, security, and compliance. Microsoft Cloud App Security is an enterprise-grade security for cloud apps. Aperture looks directly into SaaS applications, providing full visibility into the activities of users and data while granular controls maintain policy to eliminate data exposure and threat risks. Oracle CASB Cloud is an API-based cloud access security broker for applications and workloads. IBM Cloud Security Enforcer is a cloud-delivered Cloud Access Security Broker (CASB) solution that helps securely accelerate the adoption of cloud applications. Proofpoint Cloud App Security Broker (PCASB) helps you secure applications such as Microsoft Office 365, Googles G Suite, Box, and more. * We monitor all Symantec CASB reviews to prevent fraudulent reviews and keep review quality high. We do not post reviews by company employees or direct competitors. Validated reviews require the user to submit a screenshot of the product containing their user ID, in order to verify a user is an actual user of the product. Hi there! Are you looking to implement a solution like Symantec CASB?